Very occasionally, something makes your hair stand on end. Something unbelievably small, beautiful and fragile. Nick Steur’s FREEZE! is just such a performance: small in scale, big on ideas. 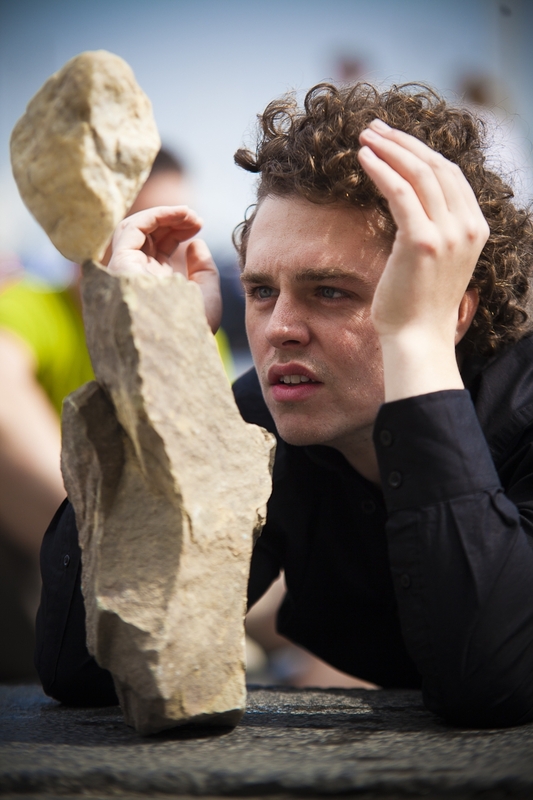 Nick Steur creates a pile of natural stones. 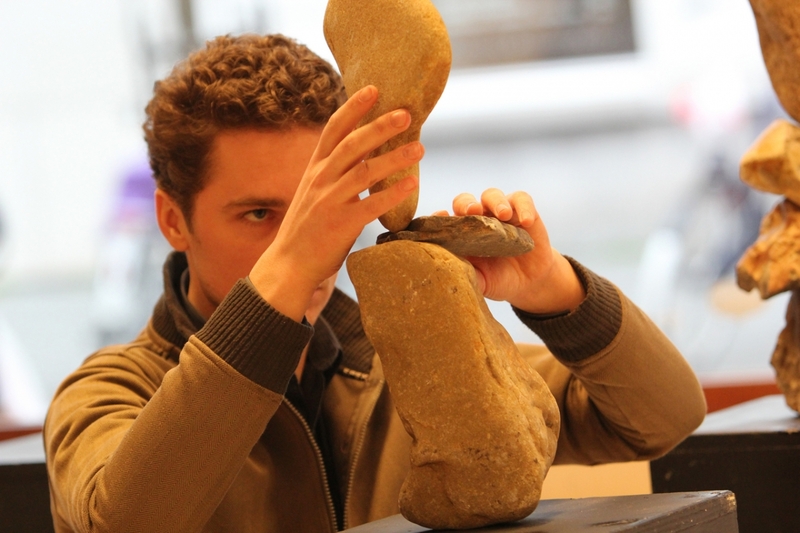 He doesn’t use any glue or trickery, just intense concentration and ‘a balance between my own willpower and that of the stone’. 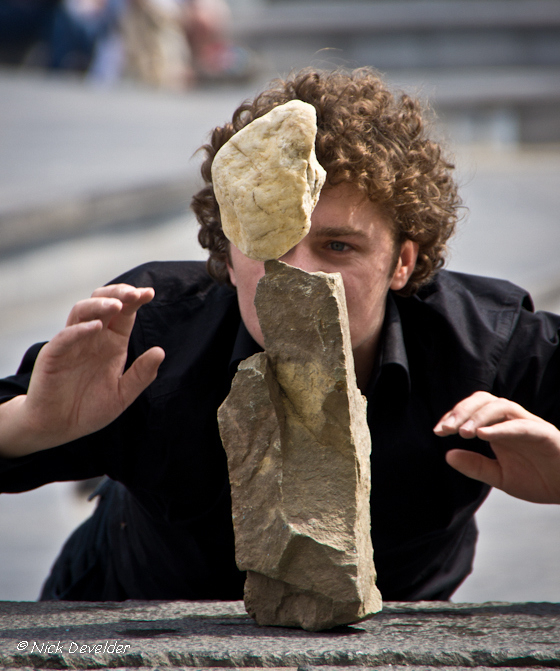 Steur believes: ‘we must be humble in the face of the space and materials we have been given to use. Ultimately, we share a small space with 7 billion other people …’ His work’s key themes are: silence, concentration, contact, emptiness, space, and death. 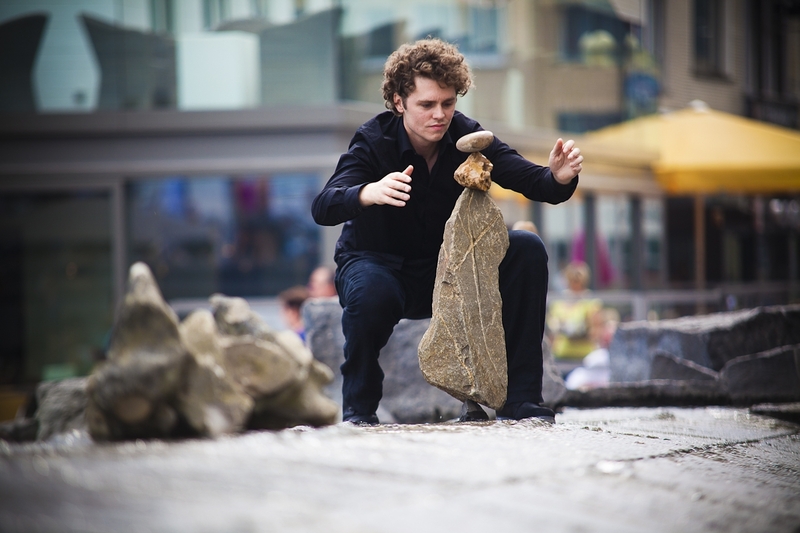 • Nick Steur graduated in Theatre Studies at Maastricht in 2011; his graduation piece, FREEZE!, won the KBC Young Theatre Prize 2011 at Theater Aan Zee.